There has been a lot of debate recently about airlines and the airline industry. Especially the cost of airline tickets for travelers. For us here locally, St. Maarten as a destination has been the center of discussion on what should be done to attract more airlines to our island. But we have to understand a vitally important factor in the airline business. 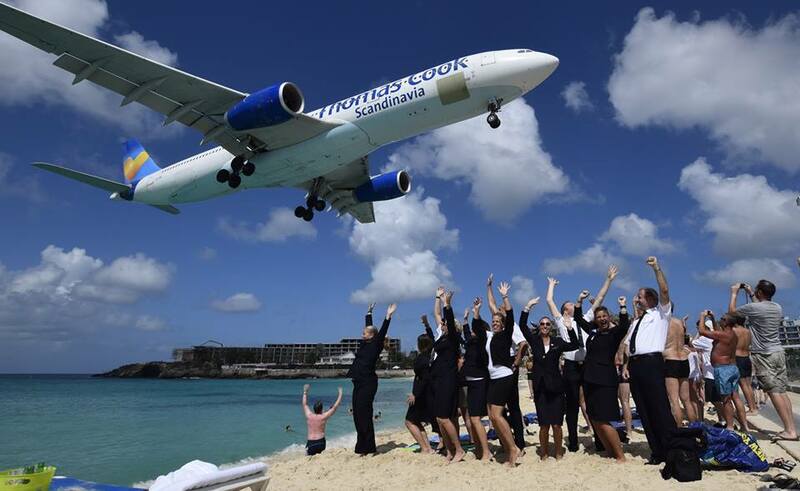 The only real reason any airline would fly to St. Maarten is to make money. Airlines are not in the business of promoting any tourist destination. Airlines exist to make money for their shareholders in the form of profits, plain and simple. Many airlines have increased or are in the process of increasing flight capacity at the expense of leg room and continue to increase fares despite lower fuel costs because they are in the process of recouping the losses they sustained from the reduction in air travel brought about by the ‘Great Travel Recession‘ of the past decade. The management of most airlines have become forward-looking and see that the present recovery of economies in the United States and Europe is the perfect opportunity to make as much extra cash as possible. The money people save at the gas station as a result of declining oil prices can be used for air travel. One of the problems with development of more air travel to St. Maarten is the seasonal flights that only occur during the winter months from North America and Europe. St. Maarten needs to promote itself as a year-round tourist destination that will encourage the seasonal flight operators to make a change to all year-round operations. Getting the airlines to cooperate with this objective will take incentives. The negotiations may be a bit tricky in maintaining compliance with US and European restrictions on government subsidies of airline companies and St. Maarten’s government’s budgettary restrictions are certainly no help either. But the government of St. Maarten could and should make new deals with major carriers from the US and Europe, especially Scandanavian-based airline companies, such as Finnair, looking to expand their operations internationally. This means paying the airlines to come to St. Maarten. This could be a financial stretch for a government that is seeing deceasing tax income and less revenues for businesses with the state of the present economy. But this strategy has worked well for Curacao and many more thousands of airports around the world. So why not St. Maarten? St. Maarten needs to look at new markets that have established airlines such as the Arab Gulf states. China and South Korea have developed a growing airline industry. Certainly, not every person in China can come to St. Maarten, but a growing number of wealthy Chinese would see St. Maarten for its attractiveness that even the vastness of China cannot offer in terms of climate and its natural environment. Finally, advertising will make people want to come to St. Maarten and the airlines will cater to their client’s desires with more flights to St. Maarten. Again, this could be a bit of a financial burden on businesses that are not making the revenues they once enjoyed but every other Caribbean tourist destination will be doing the same thing. The competition for tourist dollars in the Caribbean and elsewhere will certainly increase tenfold the coming years and St. Maarten needs to be at the forefront of innovative marketing developments to attract new visitors to the island. The good news is that the ‘great travel recession‘ is essentially over in the USA, Canada and Europe. Higher employment rates and more disposable income in the USA alone will mean more tourists for St. Maarten and our island has all the accommodations, natural beauty, activities and night life that make the island attractive to tourists. The basic idea is that the island will have to spend lots more money to increase inbound air travel and get back to the levels of tourism revenues that the island previously enjoyed in the booming era up to ten years ago. Finally, it is important that tourism authorities on St. Maarten select the right media to promote the island and attract new visitors and make it worthwhile for airlines to fly to St. Maarten. Here is an example of a good media platform to use: www.mapsxm.com. Because it is really necessary that we put St. Maarten back on the map as the preferred destination for the major airline carriers.